View Aaron's Google+ page to see what he is up to. I live in Sacramento California. I enjoy building, testing, and programming robots in my spare time. 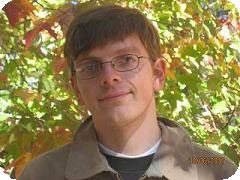 My son passed away in April of 2011. I created a memorial webpage in his honor. Created by the Interactive Johari Window on 6.3.2013, using data from 4 respondents. You can make your own Johari Window, or view aaronklapheck's full data.